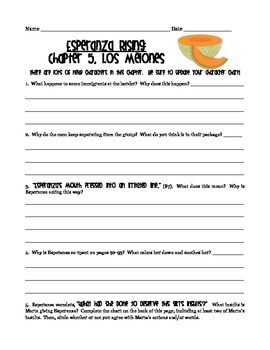 Comprehension and discussion questions based on chapter 5 of Esperanza Rising by Pam Munoz Ryan. Analysis of important quotes. This assignment references a "character chart" which I also have posted, tracking important characters in the text. Please check out my other Esperanza products!